The Yellin Center Blog: Choosing a College - Where to Start? Choosing a College - Where to Start? Your blogger recently spoke with the mother of a high school sophomore. Her daughter was starting to think about college and both she and her parents were concerned about how she would manage in college with her long-standing learning challenges. 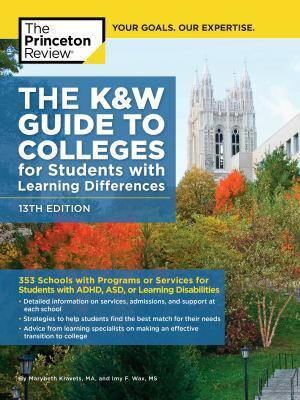 "What's the best college for students with learning disabilities?" this mom asked, clearly hoping that I would give her the names of a couple of schools on which they could focus. Instead, I gently pointed out that she was asking the wrong question. Certainly, there are colleges whose primary mission is to work with students with learning and related challenges. These schools, such as Landmark College in Vermont, may be a good fit for a student whose learning issues are significant and who have needed extensive support in high school. There are also schools and programs for students who cannot manage a traditional college curriculum -- or cannot manage it without additional preparation -- and who may be best served by a "transition to college" or vocational and life skills program. These include places like VIP at New York Institute of Technology, Threshold at Lesley University, or Thames Academy at Mitchell College; each of them can provide important benefits to certain students. But while the young woman in question has needed and received supports and accommodations in school, her grades and standardized test scores are solid and she has several interests that could be the basis of a future course of study and possibly a career. I suggested that this family start by identifying colleges that offered strong programs in their daughter's areas of interest. Did she want a program where she could pursue her interest in environmental science? Did she want a school with excellent music and theater departments where she could build on her skills with the cello or follow up on her starring role in her high school's musical? Is she an athlete? Or did she want a school that encouraged study abroad experiences for its students? Or maybe she just wanted a strong liberal arts curriculum where she could explore across disciplines and decide her direction later. Only after considering what kind of school she wanted, using these criteria, as well as such things as location, size, cost, and admission requirements, would it make sense for this student to carefully consider whether the schools on the lists she had created offered meaningful accommodations and options for academic support. There are more than 4,000 two and four year colleges in the U.S. By working with her guidance counselor, using online tools, and visiting some of those schools that seem of interest, this family can develop a list to serve as a starting point. Then it would make sense to look intently at the commitment of each potential school to serving students with disabilities. All colleges must comply with the ADA - the Americans with Disabilities Act - but many go well beyond their legal obligations. What can a student expect from a college, and how can a student and her family determine what a college offers? 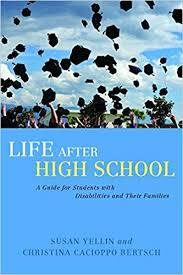 It's been a number of years since your blogger co-wrote Life After High School, but the guidance offered on how to select a college that can meet a student's needs is still timely. 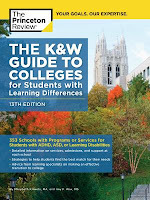 Another resource is the K&W Guide to Colleges for Students with Learning Differences. Hopefully, this family will find that they can help their daughter make choices that both celebrate her strengths and support her challenges. I've asked them to keep me posted.